Was Sen. Schumer warned by House leaders like Speaker Nancy Pelosi not to say anything in response to Congresswoman Omar’s hateful and derogatory comments, lest he be identified as being too Jewish? The new oversize-mouthed Democrats have mainstream Democrats on the run. Chuck Schumer should have been out front on this issue just like he is on some of the most non-urgent issues like water conservation on Plum Island or greater enforcement of seatbelt laws. These matters might be important on some level, but rarely do they make news. That does not stop the senior senator from New York, Mr. Schumer, from looking for attention and press on these and similar items. On Congresswoman Omar’s attempt to vilify and denigrate Israel and Jews, Schumer was silent. Does that mean that he agreed with her, that he believes elected officials support Israel because they are paid to do so? What the Omar, Cortez, and Tlaib triumvirate is bringing to the fore — and what Chuck Schumer is helpless in defending against — is that it is wholly legitimate to excoriate Israel policy and the U.S.–Israel relationship and also insult Jews with denigrating diatribes while insisting that the venom and hatefulness is just a foreign-policy conversation. You can be assured that it is not that. Their anti-Israel, and even anti-Jewish, aggressiveness is really not the problem here; unfortunately, these types of stances are somewhat expected. What is a bigger issue is the weak and meek response from lawmakers who in the past have always been strong advocates for Israel, Jewish issues, and the U.S.–Israel relationship. At first, there was silence even from House Speaker Nancy Pelosi who seemed something between shell-shocked and stunned. Mr. Schumer, who seems to be attached at the hip to her since President Trump was elected, suddenly just fell away as the controversy intensified and the coverage of the Omar comments increased. And there are the other high-profile representatives from New York like Eliot Engel and Jerrold Nadler who speak audaciously and with extreme chutzpah when it comes to President Trump but seemed to fade away when it came to Congresswoman Omar. In the meantime, Senator Schumer was absolutely silent as Democrats shadowboxed themselves, trying to whitewash Omar’s antisemitic pejoratives, burying the condemnation of those incendiary remarks in criticism of the Dreyfus Case of 1897 and those who were critical of John Kennedy’s Catholicism in 1960. President Trump’s press secretary, Sarah Sanders, said it best on Monday when she responded to a question from a CNN reporter. Democrats have no problem coming together and agreeing on a policy that allows a full-term baby to be ripped from its mother’s womb and even, in some cases, murdered after birth, but when it comes to condemning Ilhan Omar’s hateful anti-Jewish remarks, they are stopped in their tracks and suddenly not so sure about anything. As to the president’s assertion that the Democratic Party is now “anti-Israel and anti-Jewish,” let’s take a moment to analyze precisely what the president might have been thinking when he made those remarks last Friday morning on the White House lawn. On the matter of being anti-Israel, had Hillary Clinton won the 2016 election, there are two things we could have been sure of. One is that the U.S. Embassy would never have been moved from Tel Aviv to Jerusalem. The other is that the Democratic chief foreign-policy preoccupation would have been with creating a new state of Palestine prone to be a staging ground for terror attacks against Israel, and, of course, a large part of that effort would have been the objective to divide Jerusalem and probably evacuate some "settlement" communities. There are not too many ways to say this; those are anti-Israel positions. So maybe you do not care for President Trump and you do not like Republican policies on a multiplicity of levels. Even if that is your position, there is no way to fight your way out of the corner in which those are anti-Israel policies. On whether Democrats are anti-Jewish or not, that is a bit more complicated. Most importantly, last week, the president did not say that all Democrats are anti-Jewish. He said that the Democratic Party is becoming or has become an anti-Jewish political party. 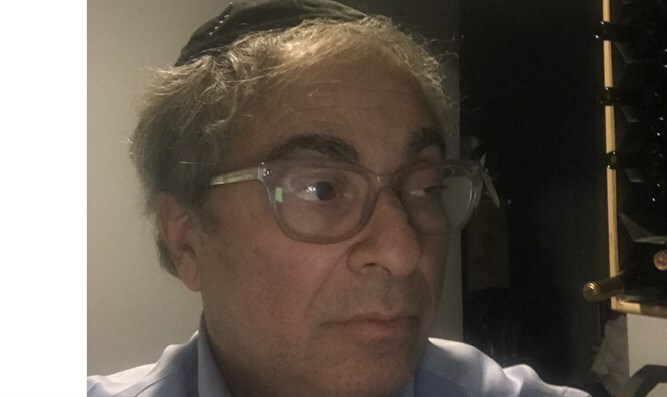 And when an elected official like Ilhan Omar indulges in classic antisemitic tirades and Democrats are silent or are conflicted about how to react to such inflammatory rhetoric — whether they are Jewish, Shomer Israel, or their name is Adam Schiff, Nita Lowey, or Jerry Nadler — those are anti-Jewish reactions and maneuvers. 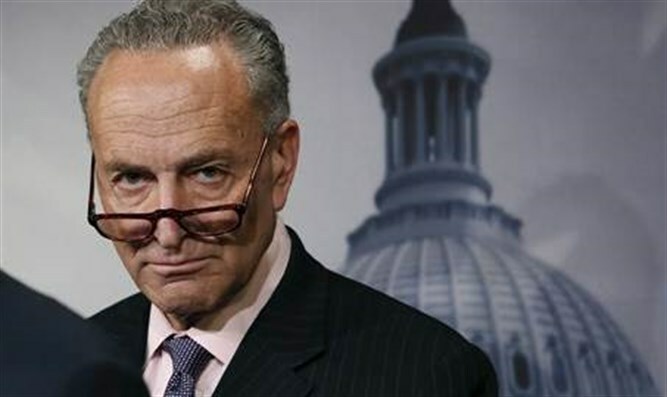 What the president probably meant is that if Mr. Schumer, who, for decades, has been patronizing us about how he is the “Shomer Israel,” and others are silent in the face of an overt display of Jew hatred, that is, believe it or not, anti-Jewish. Anything short of removing Congresswoman Omar from the House Foreign Affairs Committee sends her a message that there is a place in our political discourse for denigrating Jews and Israel because Jews are Jews and Israel is Jewish. Another consistent refrain that emanated from congresswomen Omar and Tlaib is the suggestion that Jews may be expressing a strong allegiance to another country — in this case, Israel. What does not get any mention at all is that Rashida Tlaib’s support of the creation of Palestine is certainly an expression of allegiance and dedication to a potential foreign country. For some reason, supporters of Palestine get a pass on this one. It looks like none of those great defenders of Israel in Congress thought of that. That raises the same question: where was Chuck Schumer, the Shomer Israel?